Those primary capitalist talismans, stock certificates, took a 70 year vacation during communism, when the state owned everything. 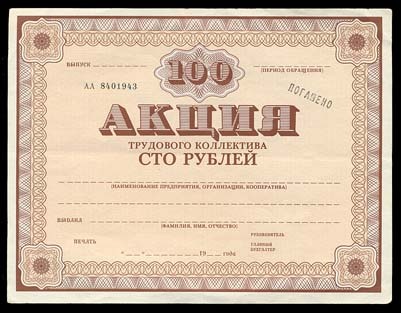 Pre-revolutionary share certificates were sort of French looking. 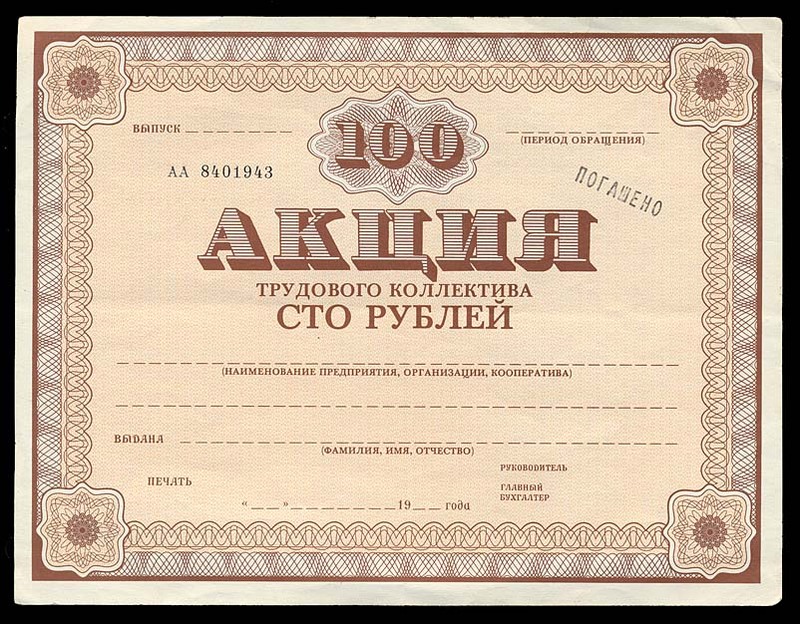 Post-communist certificates began to be issued before the dissolution of the Soviet Union. Lots of scammy shares were around at first, lots of schemes launched and sank. Things have perhaps calmed down a bit by now.